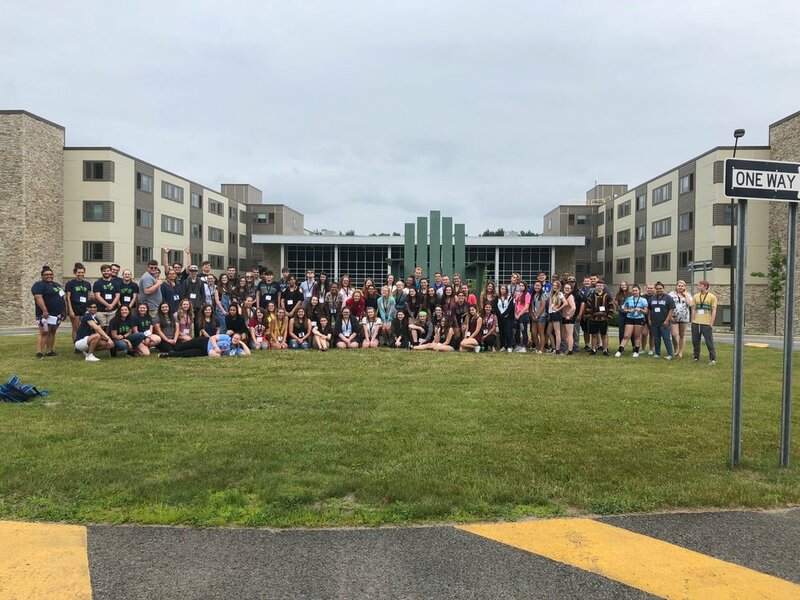 Castleton University Upward Bound serves 123 low-income and first-generation high school students from nine schools in Rutland County, VT and Washington County, NY. Castleton has hosted the Upward Bound program since 2003. Upward Bound is a federally funded TRIO program that offers challenging pre-college experiences to students of high academic ability with a goal of completing a four-year college degree. Its goal is to generate skills and motivation necessary for success in high school and college through an academic year program with weekly and monthly individual and group meetings, and an intensive six-week summer residential program that includes credited college coursework. The Upward Bound Program at Northern Vermont University in Johnson holds the philosophy that a college education makes a difference in life. The program is dedicated to identifying, recruiting, and assisting first generation, modest income students who show the academic potential, desire, and motivation to attend college. The program, which has been assisting students near and around Northern Vermont since 1971, is currently funded to serve 102 students from seven different high schools: Bellows Free Academy Saint Albans, Enosburg Falls High School, Lamoille Union High School, Missisqoui Valley Union High School, North Country Union High School, Peoples Academy, and Richford Jr./Sr. High School. Northern Vermont University at Lyndon Upward Bound has been continuously funded since 1980, currently serving 75 area high school students from the Northeast Kingdom of Vermont and North Country of New Hampshire. Participants are required to meet one of the following criteria: they will be the first in their family to graduate from college, or they are from a low to moderate income family. Upward Bound students spend six weeks of their summers on the Lyndon campus, take college preparatory courses, volunteer each afternoon in our community, and spend evenings engaged in a variety of activities designed to expand their educational opportunities and promote cultural and inter-personal growth to prepare them for post-secondary education. The University of Vermont TRIO Upward Bound program serves 63 limited-income, first-generation students annually at Burlington High School and Winooski High School. UVM Upward Bound provides individualized academic supports, including subject-specific tutoring and weekly advisement meetings, as well as many extracurricular enrichment opportunities throughout the school year and summer. All participants work hard to prepare themselves for success in postsecondary education, because they believe strongly in the guiding principle of the program: that a college degree will afford them crucial skills and credentials for entering the workforce and improving their lives. SUNY Plattsburgh Upward Bound has been continuously funded since 1966, currently serving 209 students in Clinton, Essex and Franklin counties of New York State. Since its inception, over 2,100 students have graduated from the program, with over 80% of program graduates enrolling in postsecondary education immediately following high school (as compared to 24% for low-income students nationally). It also ranks in the top 1% of funding and program participant levels nationwide. SUNY Adirondack Upward Bound program serves 123 income eligible and first generation high school students in 13 different school districts in New York’s Warren, Washington and Saratoga Counties. The program has been in existence since 1999, and was a recipient of an additional grant award in the 2017 funding cycle. Upward Bound provides students the skills and motivation necessary not only to be successful in high school but ultimately to enroll in and to graduate from college. Participants receive academic support, career awareness, college preparation, and access to college visits, community service and cultural experiences through academic year and summer program components.